Knob and tamper-resistant set-screw adjusting options included. Matching vinyl cover adds a finished look! The Panavise Standard Micro Mount (Cream) is designed to mount smaller cameras on to a solid surface. 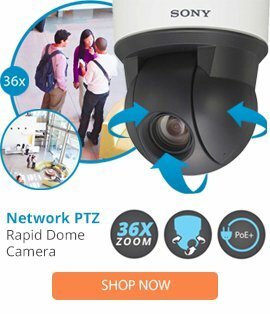 Camera positioning is simple thanks to the mount's ability to tilt up to 190° and turn and rotate 360°, while a lockring securely holds your CCTV camera in place. In addition, the mount features a 1/4-20 mounting stud, which makes it compatible with most cameras.